I had been waiting for this day to come for about a month or so. And when the day finally came, I couldn’t have been happier. 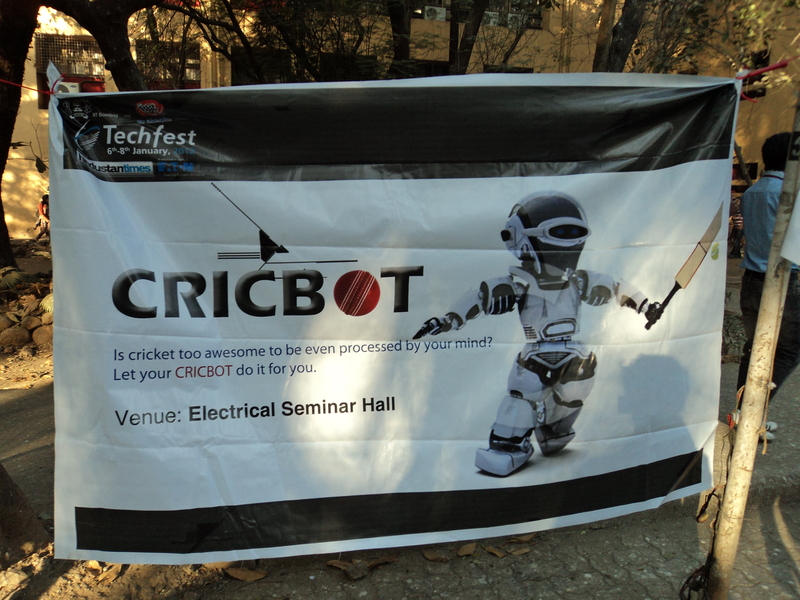 It was the annual Techfest hosted by the Indian Institute of Technology-Bombay. Me and a couple of my friends had planned and waited for this day to come for a long time now. We studied the fest’s schedule, we studied it’s campus beforehand, and even planned how we are going to travel there and stuff like that! We WERE that excited about the Techfest. Now since Nikhil has already written an article about how the first day of the techfest fared for us, I wouldn’t waste your or my time reviewing the first day of the techfest again. The main reason why I was so keen on attending the IIT-B Techfest was because of the star-studded lecture series hosted by the IIT. Prominent scientists, entrepreneurs and other dignified authorities were scheduled to conduct one-hour seminars or lectures during the span of the three day course of the Techfest. Those lectures, collectively called the Lecture Series, were a real crowd attractor. Students from all over the country traveled to the Techfest for a chance to see their role models up close and personal. Me too, like hundreds of other students, was excited about these Lecture Series. Although I had not planned to attend each of the lectures, I was certainly waiting eagerly to catch up with Simon Singh’s lecture on Fermat’s Last Theorem on the first day of the Techfest. The lecture was scheduled to start at 4:30pm local time, but since I was determined to not miss the lecture due to being late or due to unavailability of seats in the auditorium, me and a couple of other friends of mine reached there almost forty-five minutes before time. Now, Simon Singh is a British author who has specialised in writing about mathematical and scientific topics in an accessible manner. His written works include Fermat’s Last Theorem (in the United States titled Fermat’s Enigma: The Epic Quest to Solve the World’s Greatest Mathematical Problem), The Code Book (about cryptography and its history), Big Bang (about the Big Bang theory and the origins of the universe) and Trick or Treatment? Alternative Medicine on Trial (about complementary and alternative medicine). He has also worked in the BBC for about 7 years in the 1990’s. In short, you don’t wanna miss seeing him in person if he’s about to conduct lecture somewhere near you! 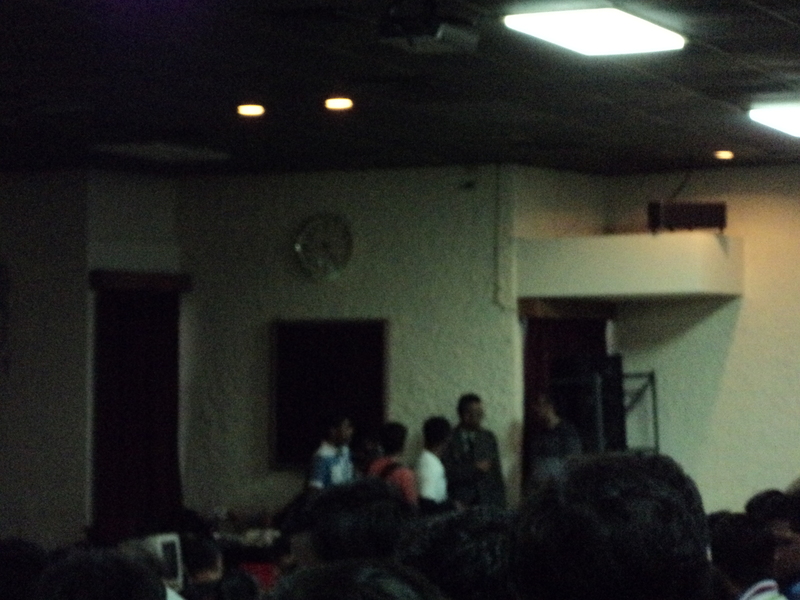 We entered the hall at about 4:30, the same time the lecture was scheduled to start. But I wasn’t complaining. As soon as I got myself a seat in the auditorium, I saw a mohawked guy standing in the opposite corner of the hall to where I was sitting, and that dude was on his cellphone. Yes! That mohawked guy, wearing a gray suit, was indeed Simon Singh! I was actually seeing him in person standing just a few meters away from me! 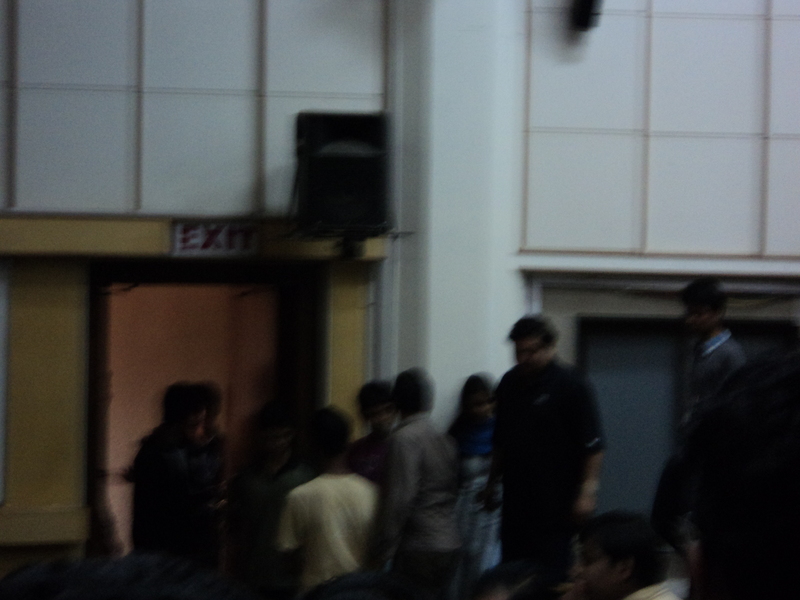 He spent a few more minutes talking on his cellphone, catching a glimpse here and there of his potential lecture audience in the hall and also talking to the organizers and other members of the Techfest team. After a brief formal introduction from a student, Simon Singh was finally ready to step into the main stage and deliver his long-awaited seminar. As mentioned earlier, the topic for the lecture was ‘Fermat’s Last Theorem’. For those of you who don’t know, Fermat’s Last Theorem was world’s most toughest math problem until it was solved by Dr. Andrew Wiles, a Princeton University professor in 1996. Simon Singh, the author of the bestselling book on Fermat’s Last theorem and director of the documentary on the same topic, started with the origins of this problem, going back into the 17th century when Fermat, a French mathematician, coined a theorem which would infamously be termed as the most difficult math problem of all time. Simon explained us about the Fermat’s Last theorem with the help of his critically acclaimed documentary and various Powerpoint presentation slides. The lecture ended at around 6pm, half an hour late than it was previously scheduled to end, but no one was complaining. I was eager to hear more from this guy. The lecture ended with a formal five minute question-answer session. Those sixty minutes were something which I will never forget about in my life..
P.S: As I was sitting in a corner most seat of the first column of rows in The Convocation Hall of the IIT Campus, waiting for Venky Ramakrishnan’s lecture on the second day of the Techfest, Simon Singh walked past me to catch his allotted seat in the first row! WOW! He was only about half a meter away from me when he walked past me lol. 2012 has started on a very good note for me since I just got cured from chickenpox and then all things are going perfect till now. Because of my illness I had to cancel some of my plans the previous year but luckily enough I got cured before the TechFest 2012. Now I won’t be whining further about my illness which would of course bore you but I’ll continue with what the post is actually about. So, yeah the TechFest! I’ve been using this word TechFest all the time. What exactly is this ‘TechFest’? Ofcourse, you guessed it right that it has to do something with Technology and Festival. Well, the TechFest 2012 is an annual College Festival of Indian Institute Of Technology – Bombay (IIT-B). First of all before proceeding with the info on the TechFest I’d like to give a short description to IIT-B. 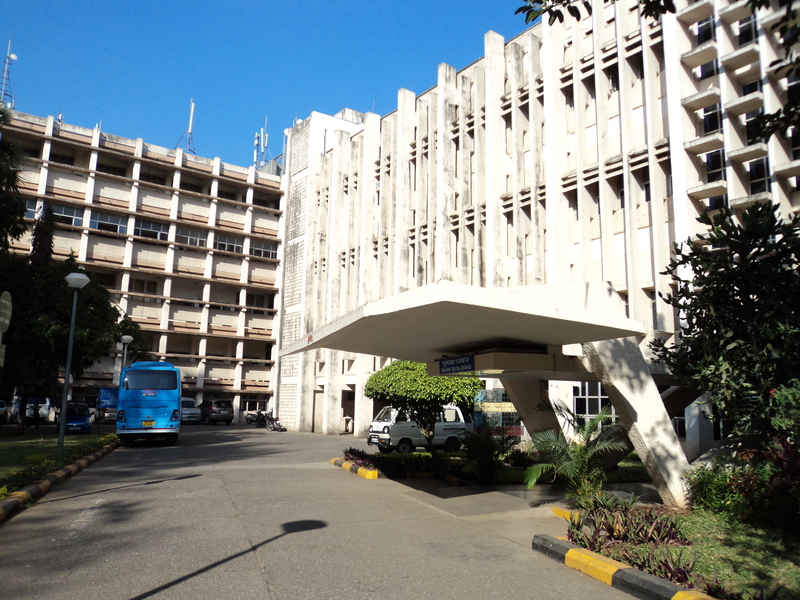 IIT-B is located in Powai, Mumbai. It would not be wrong if I were to say that IIT-B is the ‘Indian Harvard’. Right from the awfully big campus to the scattered genius talent, everything reflected a bright atmosphere. An atmosphere that is way beyond a conventional education center. And I was like, ‘Whoa! What would it be like to be in such a great institute?’. But then even the most beautiful thing in this world has some flaws in it. And that would soon be realised by us in the coming hours. So, let’s get to the TechFest now! The day was 6th of January, 2012 when this magnificent campus had invited us to witness this Fest. The day started off with us reaching Powai and actually getting trapped in the ‘Entrance Test’. No! There was no official test to get an entry (Who would go to such a place then?) but we were confused about the entry to the campus. And then after asking here and there we finally found it in a matter of a mere 15 minutes. Anyways, we got in to find out that we had forgotten to take the Visitor’s card that was required for certain activities in the fest. After walking for almost an hour we had to go all the way back to the main gate to get the visitor’s card. How boring was that, buf! Well, now we were in utter confusion! Such a big campus, so many things to do and ample amount of time. What to do? Sit four lectures? Eat? Keep walking and discover more of IIT? Or just sit at one place and wonder? Well, to be on safe side, we tried it all! 😀 First we were just randomly wandering here and there. Then we almost had entered a lecture hall and we also sat there but then they told us to wait outside and stand in that awfully long line! Duh, who would like to stand in a line after sitting on those comfy sofas? So, we went ahead. Kept walking in the almost seemingly infinite path to discover this ‘CricBot’. Cricket is a famous sport, for my American, Chinese and Japanese Bros and sis’. And ‘Bot’, well as we all know, Robot. So, basically it was a Robot which can play cricket. Participants assembled their robots and one by one came to display their seemingly overflowing knowledge. Extensive C++ codes and wires here and there plus a laptop in every student’s hand-made it seem like a perfect geek spot! So, we went inside and there the first participating group came. Unfortunately because of some technical difficulties the robot was working in a bizarre manner. Just think! Almost a year’s effort getting destroyed in front of your eyes in 10 minutes. Despite of the efforts the team only managed to make the robot twirl around and get itself tangled. Felt bad for those guys. Then came the second group. By this time our enthusiasm was almost finished so we waited for 15 minutes and left the hall to enter again the vast world of IIT. After this we went to the Japanese exhibition wherein they had kept all the JapTech on display ranging from artistic vases to hybrid cars and PlayStation 2. Well, a time pass item. connection. This experiment carried out by Mr. Mitra, known as ‘The Hole In The Wall’ project, was a worldwide success. How cool would it be to never learn from a teacher, isn’t it? In simple words: You can teach yourself. I’ll give you a simple example for this. Now that you have read about Mr. Sugata Mitra, if you are interested in knowing more about him, you will directly contact your best friend ‘Google’ for more info on him. This means that you are teaching yourself about this person and adding to your knowledge. As simple as that. Truly mind-blowing speaker. I also got the opportunity to talk with him in person and appreciated his efforts in the field of Education Technology. Sugata Sir’s research has helped many students from rural India to England, America, Indonesia and many more. After attending the lecture we were all charged up to sit for yet another lecture since, by now, we had realised that the lectures at IIT are truly magnificent. But then our stomachs had a different story to tell. So, we went to the cafeteria near the Hospital/Parking lot and ate. The next lecture that we wanted to attend was at 4.30 and it was 2.30 as of now. So, we did a lot of time pass strolling around here and there and then time went by swiftly. Next was Simon Singh’s lecture. Simon Singh is the author of many best seller books and notably known for ‘Fermat’s Last Theorem’. 4.30 to 5.30 and that was his lecture. Truly magnificent. Manas has posted his experience about Simon’s Lecture. Here I’ll provide some snaps of him. Oh and after the lecture got over it was almost 6 PM. And we had to rush now or else we would reach home late since the college was far away from our residences. And well, would not like to share the travelling experience back home. We were CRUSHED in that jam packed bus! Anyways, signing off.